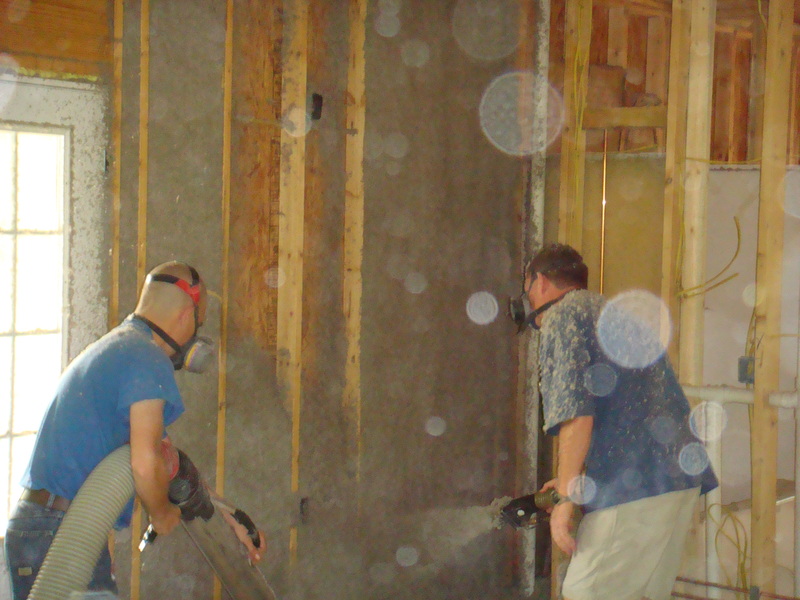 Spray on cellulose is a newer insulation material and has proven to be a great choice for quite a few insulation jobs. It is made up of recycled newspaper fibers that are coated with chemicals and powder adhesive. One of the major benefits of using this product is that it is environmentally friendly, as it is made from recycled materials and takes less energy to produce. Upon application, the fibers are pumped in through a hose that gently wets the material and causes the adhesive to activate. Once dried, the cellulose hardens and prevents any gaps, forming a tight seal. Some of the other benefits to spray on cellulose include: Reduction in noise pollution from the outside, a high R-value for great insulation properties, fire resistance, and a resistance to termites. The money you will save on your heating and cooling costs will offset the initial investment, and we are confident that you will be very pleased with your results. For any questions about this environmentally friendly product, please call J.Anderson Insulation 7 days a week with questions or to set up a free in-home evaluation.